Economical self-stick notes are repositionable. Designed for light duty applications. Use as reminders of important dates. This product was made from wood sourced from a certified managed forest. Pad Type: Pop-Up Sheet Size W x H: 3amp;quot; x 3amp;quot; Number of Sheets per Pad: 100 Ruling: Plain. View More In Notebooks & Writing Pads. 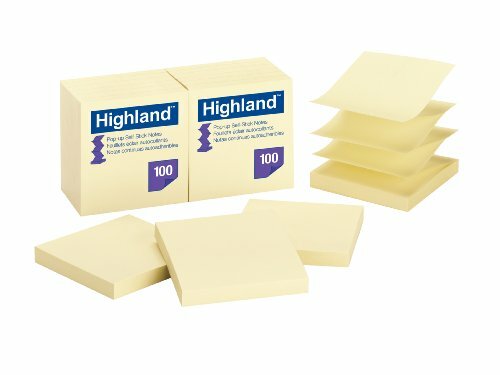 If you have any questions about this product by Highland, contact us by completing and submitting the form below. If you are looking for a specif part number, please include it with your message.